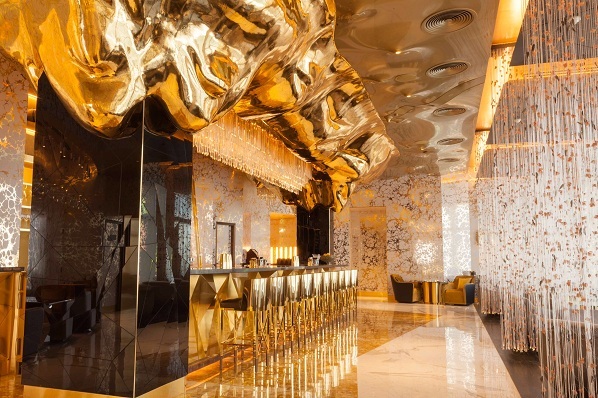 Situated on the highest floor of the distinctive sail-shaped Burj Al Arab Jumeirah, Gold On 27 is the latest and most exciting addition to the Dubai social scene, offering exhilarating views of the Arabian Gulf and Dubai’s stunning skyline, as well as mastery in the art of mixology. 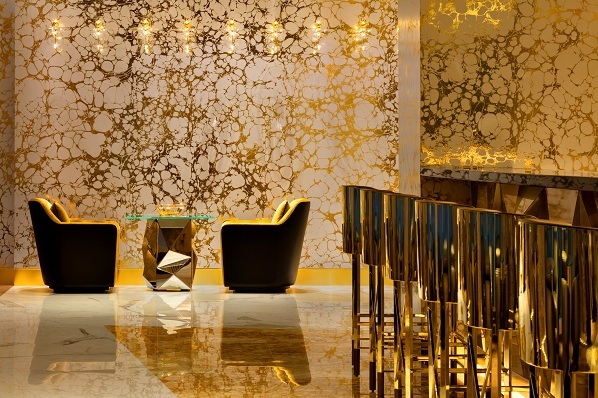 The textured walls of the bar shimmer with gold and the carefully crafted lighting effects create a sophisticated atmosphere, picking out flashes of the bar’s art deco design. Internationally acclaimed resident DJ Darko De Jan sets the tone by playing deep, soulful house and lounge, creating an exclusive experience for the world’s social and creative elite without any pretence - all with the dramatic city skyline as a backdrop. Progressive cocktails are undoubtedly the main event at Gold On 27. Using premium brands and a surprising array of ingredients, the bar’s award-winning team of mixologists, headed up by cocktail maestro and bar general manager Paul Bradley, has created an imaginative menu brimming with contemporary twists. Anthony McHale, general manager, Burj Al Arab Jumeirah, said: “This venue has been 18 months in the making from concept to completion and represents an incomparable addition to Dubai’s nightlife. “We have an excellent team on board, dedicated to giving guests a remarkable experience. The service levels and hospitality at Gold On 27 is second to none. An intimate space with individual and booth arrangements, Gold On 27 is the ultimate location for all gatherings, from cocktails with friends and pre- or post-dinner drinks to business networking and corporate functions. The bar can also be sectioned off to accommodate private events.